The easiest way to perk up lackluster strands is to style them into chic waves, curls and crimps. 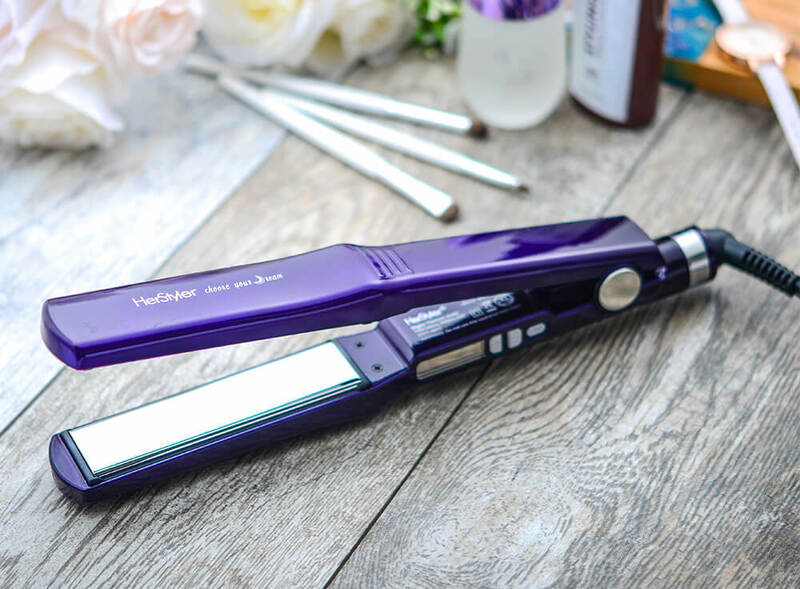 But, if you’ve already used (and abused) all your crimpers, curlers and flat irons, you might wonder – what else is there left to do? Luckily, there are ways to take your mane even a step further — by adding a stylish hair accessory into your coif. These nifty hair ornaments can instantly add a dose of edge or elegance to your hairstyle, regardless of your length, texture or your personal aesthetics. Ready to find out how to amp up your hair game? Read on! 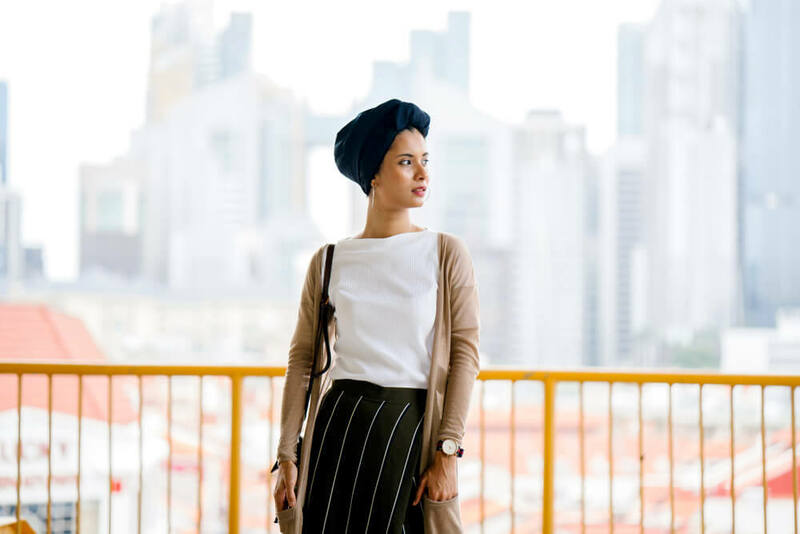 If you’ve been paying any attention to recent runway trends, you might have noticed that turbans have been all over the show. This is because, when done tastefully, this stylish hair accessory can instantly exude a bona fide diva attitude. It can be used to class up any outfit and give it a dash of elegance. Alternatively, pair it up with a chic caftan and you will immediately turn into a beachside goddess. Perhaps the best thing about turbans is that they can be a trusty friend whenever you are experiencing a bad hair day. 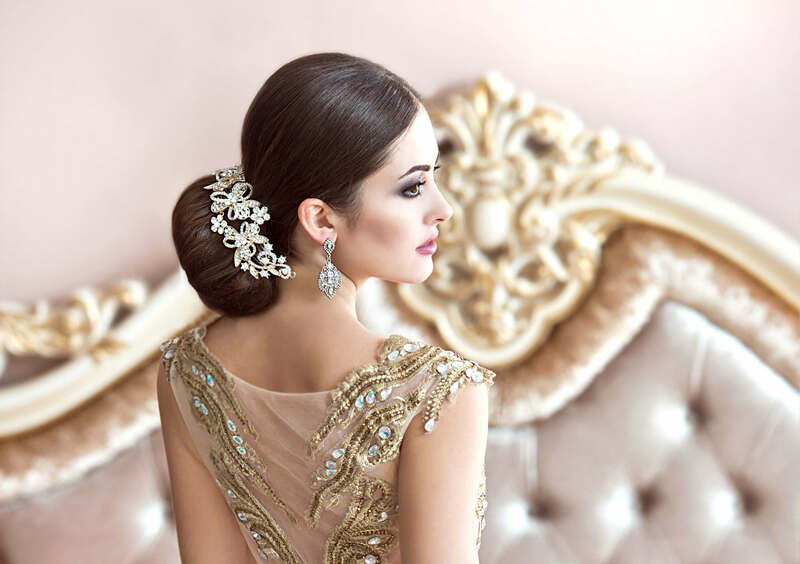 If you want to hide your less-than-ideal strands, simply swoop up your mane in a bun and tuck in under your turban. Voila – all your hair problems are solved in one simple step, all thanks to this chic and practical hair accessory. If you think all hair accessories have to be whimsical and dainty, you couldn’t be more wrong. The classic example of the bad-gal hair is the timeless bandana, which can give you that edgy aesthetic your strands have been aching for. Moreover, this versatile hair accessory can be styled in a number of ways. For a vintage look, fold your bandana into a 2-3 inch wide hair band. Pull it under your hair at the nape of your neck and tie the ends at the top of your hair, either in the middle or on the side. You can also add a bandana to an up-do for the extra retro feel. Bandana can also be styled into more modern ways. Since the current fashion trends are all about that ‘90s revival, you can channel that vibe with your bandana by folding it diagonally, then tying it at the back of your neck for the classic ‘90s baddie look. There are some occasions that call for a dose of whimsicality to your mane. 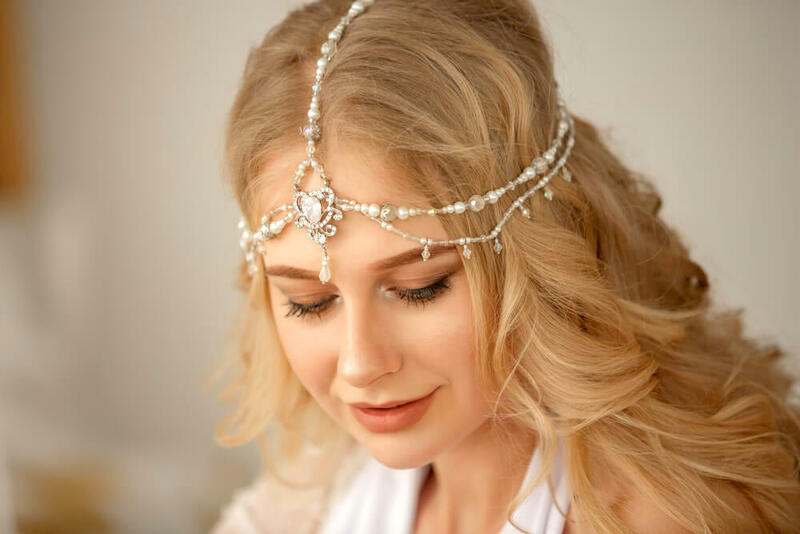 Whether it’s a wedding, a brunch date or simply a dreary day that needs lightening up, adding an ethereal hair accessory to your ‘dos can instantly give a fresh and romantic feel to your entire ensemble. Now, floral touches to your locks don’t have to be an overstated, gaudy affair. These days, you won’t have trouble finding small, understated flower designs that will embellish your ‘do without making it look too flashy. These straight-from-nature arrangements can work amazingly with low up-dos, messy buns and even loose wavy or curly hair. On the other hand, if you do like to go big and bold with your flowers, why not turn yourself into an IRL Snapchat filter and embellish your hair with a luscious flower crown. Worn by everyone from Frida Carlo to Lana del Rey, flower crowns might be a little too conspicuous for everyday occasions, but they can be a great addition for summertime festivals, picnics or other outdoor occasions where you can unabashedly release your inner forest goddess. Flower crowns play well with half up-dos and milkmaid braids, but if you want to create that extra nonchalant, ethereal feel, sculpt your mane into loose, bouncy curls before you add your flower crown. And if you’re not sure how to get a hold of this very trendy hair accessory – worry not: you can even make your own. All you need is a few flowers, some stems and a piece of floral wire. Wrap the wire around each piece of greenery and flowers; make it as simple or as voluminous as you like, by adding extra flower. Sometimes, all that we need is for our hair not to get up all in our business. Headbands are the quickest and most stylish way to tame a wild mane. Moreover, due to a variety of shapes, colors and styles, these days there’s a hairband to fit every sense of aesthetic. 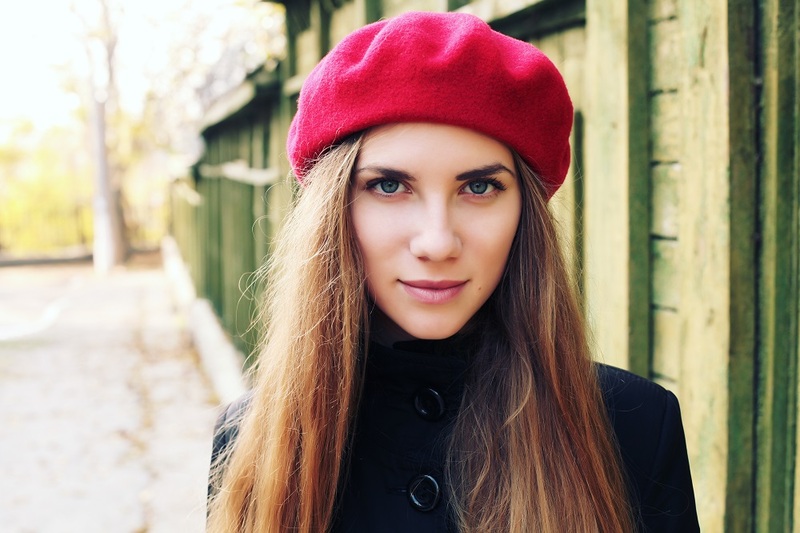 For example, if you’re into the retro looks, you can go for a hairband adorned with polka dots or a chic bow, which will add a flirty and vintage touch to your look. Alternatively, an understated black hairband can be an elegant way of keeping your strands away from your face if you need a subtle accessory. And if you want to channel your inner deity, a statement golden band, like the ones that we’ve seen at recent fashion events, can do just the trick for creating that holy-like look. Finally, go for the loud, neon colors if you want to channel the fun-loving, ‘80s vibe that can be rocked anywhere from your local gym to a full-blown night out with the girls. Recent fashion trends have showed us that, this season, the mantra is to go big or go home. And what better way to add extravagance to your hair that big, ornate hair pins? This can create a rich, baroque feeling to your hair, which can be perfect for formal occasions or big nights out that call for extra decoration to your mane. Not only are they immensely flattering to every hairstyle, they can also be functional. For example, they work wonderfully with old-school Hollywood waves. You can create this look by creating a deep side part, then curling each of your hair strands towards the face, pinning each one down with a bobby pin once it’s curled. Once your entire hair is pinned, let the curls cool down, then remove the bobby pins and brush out your curls until you achieve a unified texture. Tuck the side of the parting will less hair behind your ear, securing it with your decorative pin. Your sleek and elegant look is good to go! If you like the romantic feel to your strands, but flowers aren’t really your cup of tea, you can still achieve the botanical effect without adding full-on floral arrangements to your locks. For example, wreath motifs can be a great way to elevate the look of your main and give it that luscious Greek goddess feel. They work exceptionally well with loose, low up-dos and can add an extra dimension to textured hairstyles like elaborate braids or messy buns. 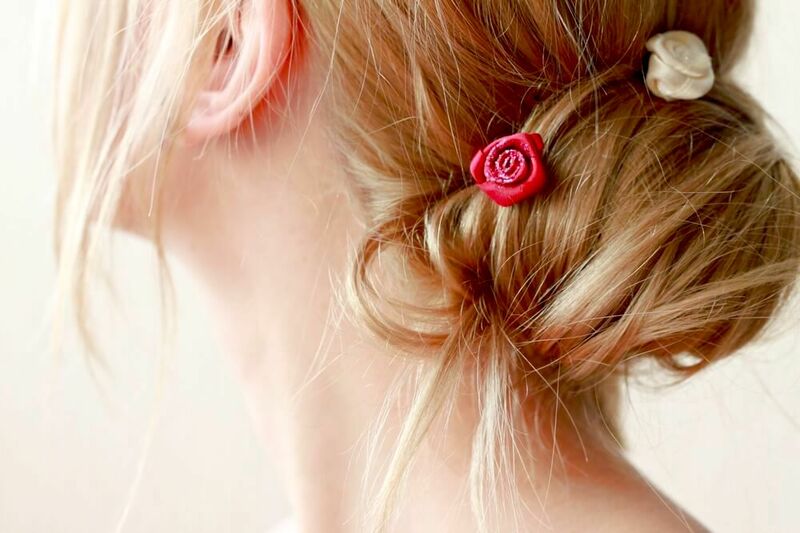 Simply thread them through your braid or add them to the up-do to make it more sensual. 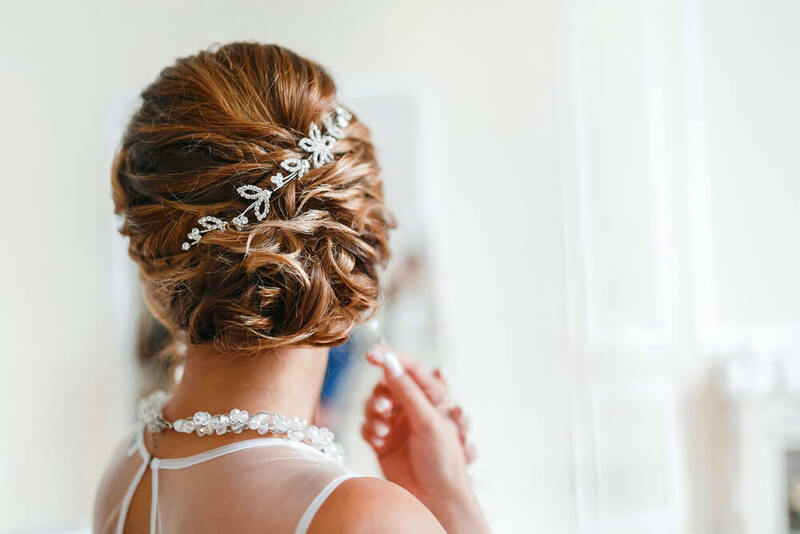 Vine and wreath motifs can be a great choice for a bridal hairdo, but can also be dressed down for less formal occasions. If you’re not into flashy and super-ornate hair details, perhaps you’re on the market for something a little more au naturelle. 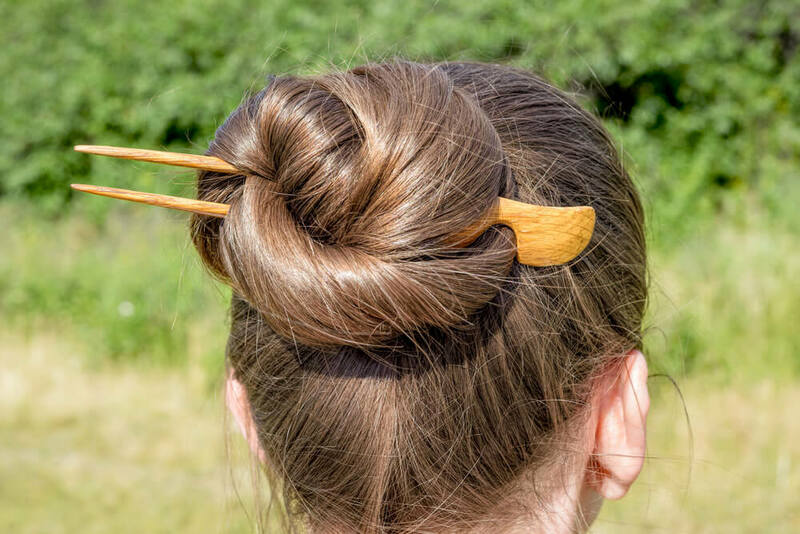 Wooden hair pins and other adornments can be a great way to make a statement with your ‘do, while still keeping everything muted and free of flashiness. Wooden sticks, forks and pins are not only an excuse to wear a beautifully crafted piece of ornament on your locks, they can also be a great way to shape your mane in unique and eye-catching ways. You can use them in a variety of different ways, from creating low braids, to nonchalant bunts to youthful half up, half down styles. Once you get a hold of how to use them, you can whip them up to create a gorgeous, nature-approved hairstyle for every occasion. Perhaps plain old hair bands and pins aren’t quite ornamental enough for you. If you want to go the extra mile, why not adorn your forehead, as well as your mane? These sensual headpieces can delicately frame the face and add an extra dimension to your hairstyle. They work incredibly well with mid-partings and low-up ‘dos, instantly making you look ethereal and goddess-like. And while, yes, they might be a little over-the-top for everyday occasions, these kinds of head pieces can elevate every bridal ensemble. And if you go for a more casual design, you can always rock it at a music festival, summer parades or any other outdoor events you might find yourself at. Hair accessories don’t always have to feel super-formal. On the contrary, you can create a fun and playful look by donning your main a pair of cute cat ears. And if you’re worried about looking like an overgrown child, you can stop now: even the popular celebrities, such as Ariana Grande, are rocking this feline fashion. 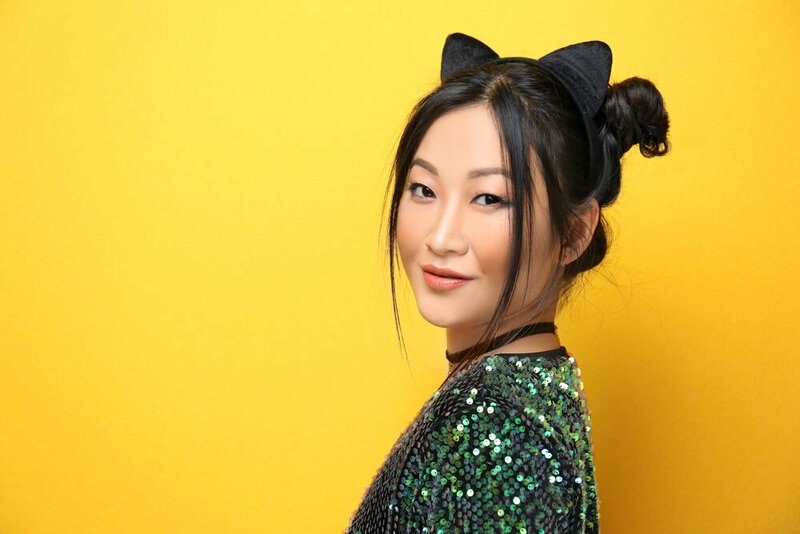 Not reserved just for Halloween anymore, a hairband adorned with cat ears will make your looks look more vibrant and add a touch of kawaii to your strands. They work well with just about any type of hair length or texture, and you can wear a pair either with an up-do or your hair free and loose. This kind of fresh hair accessory can be a great addition to a music festival, crazy night out or fun-loving outdoor events. Okay, so while all these accessories are fun and cute, you are looking to be super-extra at your next big event. Well then, it sounds like you’re the perfect candidate for a stylish fascinator! Not only reserved for horse races and British royalty anymore, fascinators can be a quick way to make your ‘do go from just cute to over-the-top elegant. Of course, there are as many fascinators out there as there are personal styles, so if you want to still keep it simple and subdued, opt for a single-color fascinator with a smaller net (this is also a good option if your hair is on the shorter side). If you want to attract attention, or are already rocking full and bouncy coif, then go for something bigger and more voluminous. Of course, since fascinators represent an important part of your ensemble, make sure to always coordinate it with the rest of your outfit, regardless of how big or small your accessory is. There is nothing wrong with wanting to channel your inner princess from time to time. And what better way to do that than to adorn your mane with a tiara worthy of your regal locks? These days, you don’t have to be blue blood to rock one of these classy hair pieces. Okay, they might not be workable for coffee runs or having a casual brunch with your friends, but they can definitely be a welcome addition to other kinds of occasions – as long as you know how to rock one. For example, don a tiara to secure an extra dose of sass if you’re planning to attend a bachelorette’s party or even those fun-filled outdoor summer event when all kinds of flashy fashion is A-okay. 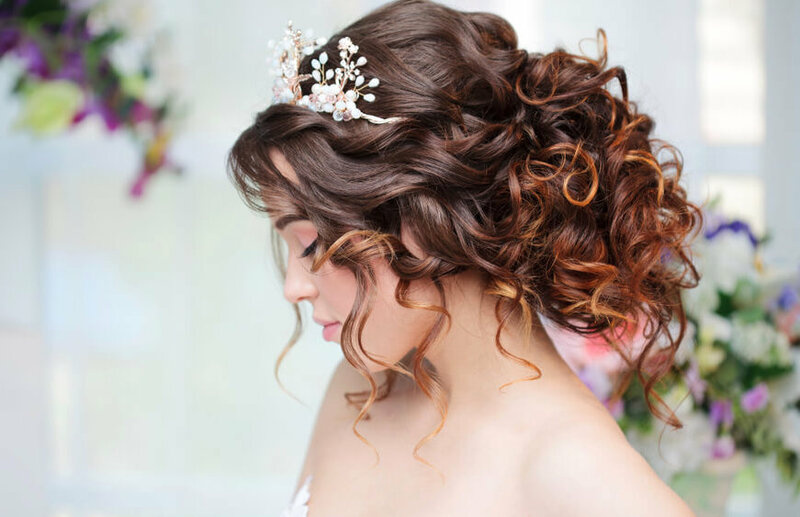 If you want to keep it cool and down-to-earth, go for an inexpensive, casual tiara that will work great will long, flowing locks like beach waves or crimped curls. On the other hand, if you want to relive the full Cinderella fantasy, scoop up your hair into a glamorous up-do. Make sure your strands are sleek and smooth, then top off the look with a delicate tiara. Boom – princess aesthetic is locked! With some luck, this list has succeeded in convincing you that it was a stylish hair accessory that your mane was missing all this time. Adorn your locks with one of this chic pieces and we guarantee your hair will instantly look and feel more fresh, vibrant and, above all, stylish!